Ben has achieved BA (Hons) International Hospitality Management with first class award. 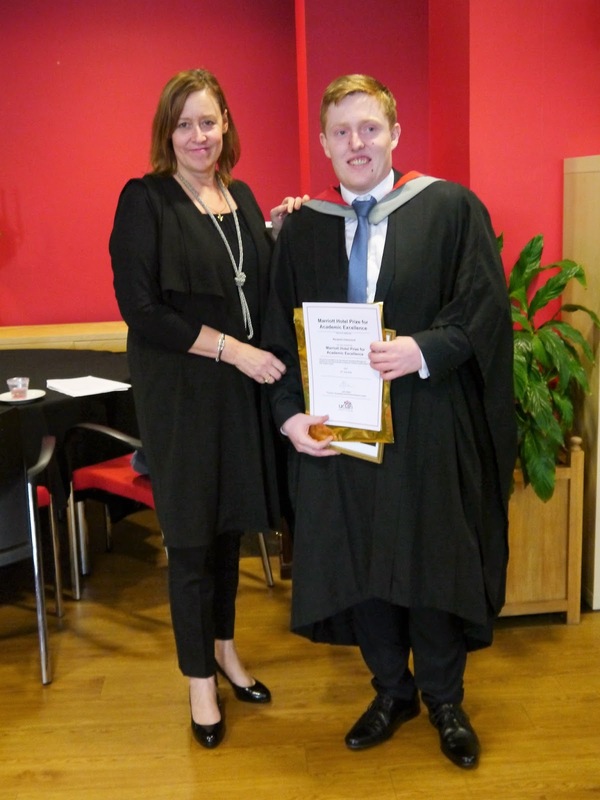 He is the recipient of the Marriott Prize for Hospitality, not only because of achieving the highest average grade point in his studies, but also to celebrate his outstanding employability skills. Ben is a pleasure to teach – he challenges himself and everyone around – in a very polite, but forceful manner, demanding clarification from the tutors and fellow students alike, until he is happy with an answer. Ben, who is pursuing his dream of becoming a general manager of a hotel, applied for Graduate Management Schemes in hospitality and participated in a number of complex selection tests, whilst completing his final year studies. Ben fought off fierce competition and is starting his next step of ‘climbing the ladder’ most appropriately, given his prize, with Marriott Hotels in Liverpool. He says: “UCLAN has been filled with the most amazing experiences of my life. Firstly, the friendships that have been made will last for a lifetime with people from all over the globe, from China to Latvia to South Africa to Preston and many more. Secondly, the lecturers and support staff who have been forever willing to help at any point of my degree, thank you because you have been brilliant. Thirdly, my placement year where I went from South Africa to Sheffield. South Africa taught me so much, not only about hospitality, but also about community, friendship and the power of music! Finally, graduating with a first class degree and being given this award has made it an overwhelming experience that I will never forget." We all wish Ben the best on his career pathway!